Charles Carver - McNamara & Carver, P.A. Born in Hattiesburg, Mississippi, and raised in Miami, Florida, Chuck earned both his undergraduate and law degrees from the University of Florida. He began his career with the Tampa law firm Trenam, Simmons, Kemker, Scharf, Barkin, Frye & O'Neill, P.A. In 1992, he joined Kalish & Ward, P.A., where he practiced until joining McNamara & Carver, P.A. in March 2006. 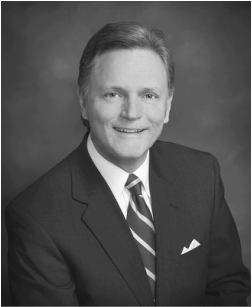 Chuck has actively held leadership positions with bar associations throughout his career. As a young lawyer, he served the American Bar Association as National Chairman of the Real Property Law Committee of the ABA’s Young Lawyers Division. For nearly a decade, he served on the Executive Council of the Real Property, Probate & Trust Law Section of The Florida Bar (the association’s largest section with nearly 10,000 members) and chaired the Executive Council’s Model & Uniform Acts Committee. Locally, Chuck has served as Co-Chairman of the Real Property, Probate & Trust Law Section of the Hillsborough County Bar Association. Other leadership positions include serving on the board of directors of both the Tampa Bay Chapter of the National Association of Industrial and Office Properties (NAIOP) and the statewide NAIOP of Florida, holding officer positions and committee chairs in both organizations. In the Tampa community, Chuck has served on the Board of Trustees of Tampa Preparatory School and on several committees within his church, and has been an adult leader with the Boy Scouts of America. Chuck is AV peer review rated by Martindale-Hubbell, considered the profession’s highest recognition for legal ability and ethical standards. He also is listed in the annual publications Best Lawyers in America, Florida Trend’s "Legal Elite" and Florida Super Lawyers; all publications that use peer selection as the means for formulating their lists. For 2018, he was named the Best Lawyers’ Real Estate Lawyer of the Year in Tampa.